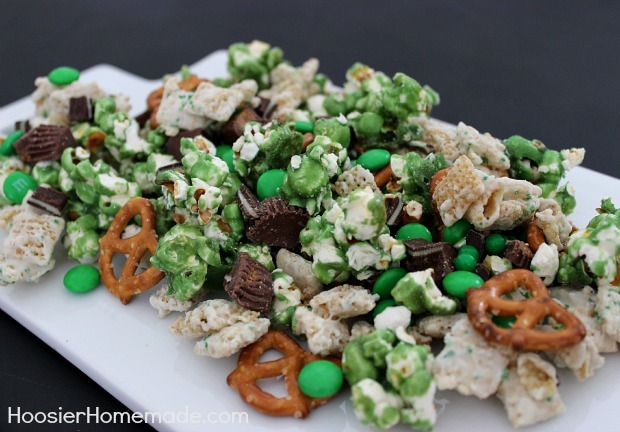 A fun St. Patrick’s Day snack mix that would be perfect for your kiddos lunch for St. Patrick’s Day or even to snack on during a movie. 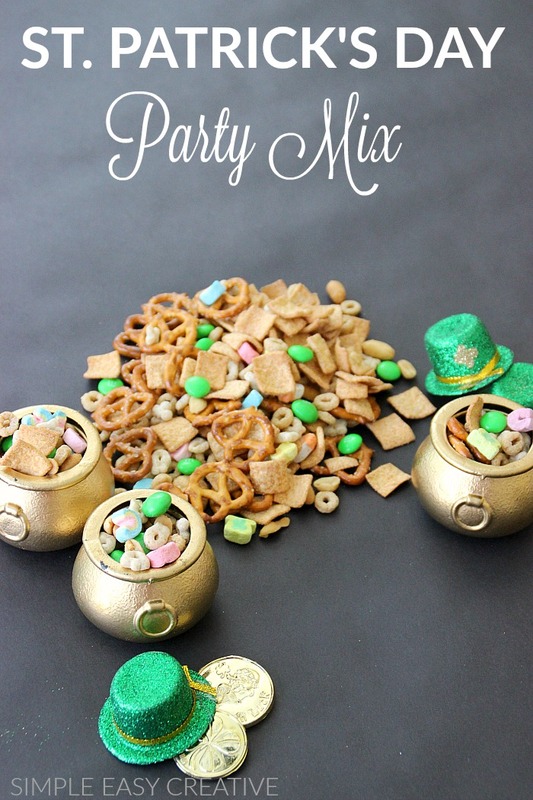 And I bet Lucky the Leprechaun would love some of this Snack Mix too! 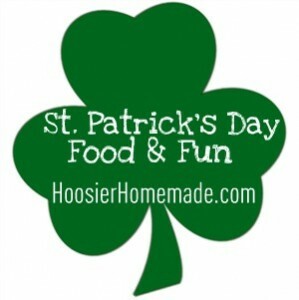 If your house is anything like ours, I had to hide the Lucky Charms from the boys until I had a chance to make the Snack Mix. 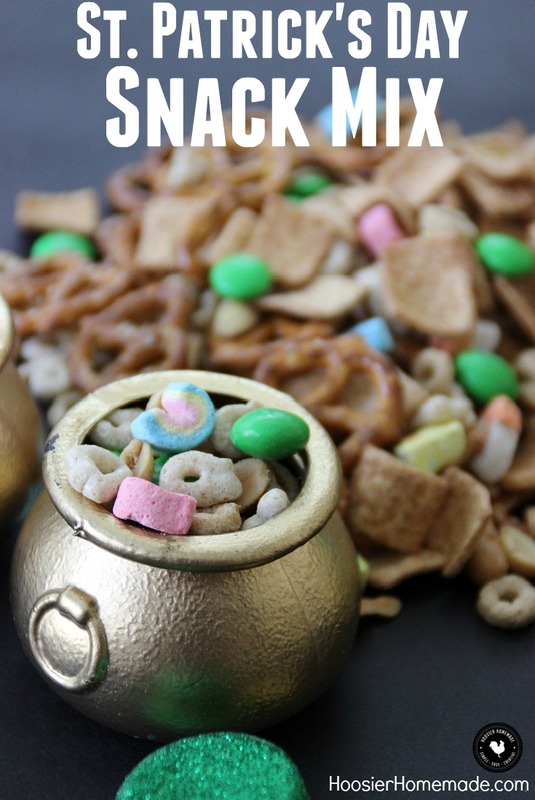 Along with the Lucky Charms, Cinnamon Toast Crunch, Honey Nut Cherrios, Peanuts, Pretzels and Green M&M’s, this Snack Mix is sure to become a hit! 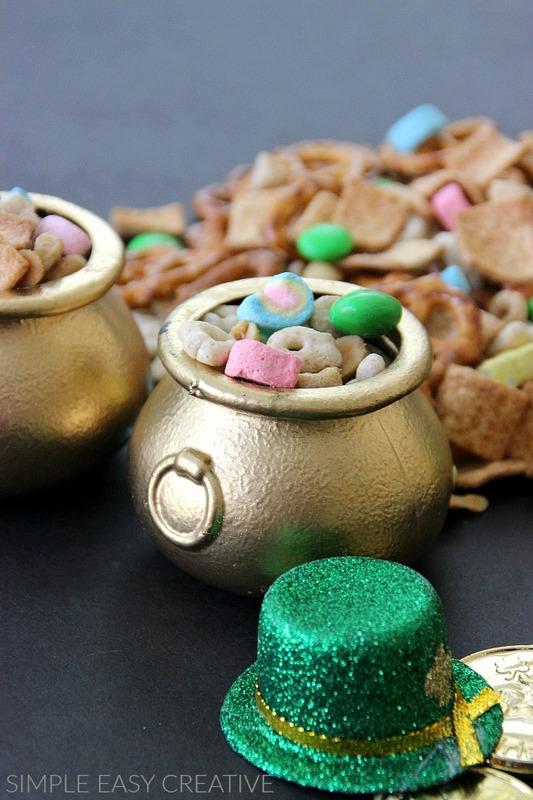 Pots of Gold make a fun presentation, especially for a St. Patrick’s Day Dinner or Party. This Snack Mix reminds me a bit of the Luck of the Irish Party Mix, although that one has more sweet treats in it. 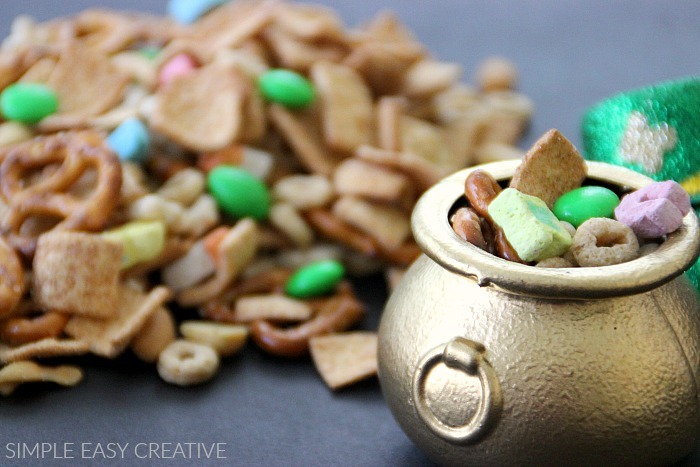 A little sweet and a little salt – this Leprechaun Snack Mix is perfect to give as gifts too! 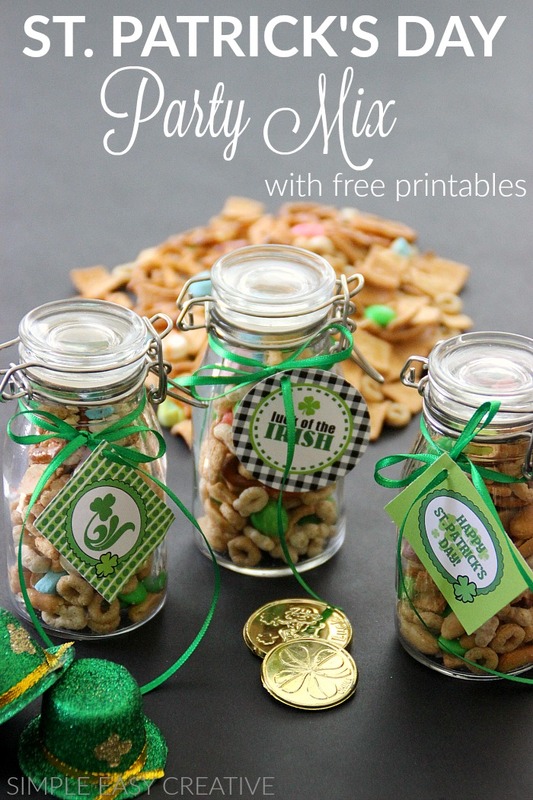 Add it to a clear glass jar, tie a ribbon around the jar and add a Printable St. Patrick’s Day Tag and you have a fun gift! These jars are from Hobby Lobby, and you can find the ribbon at any craft department. 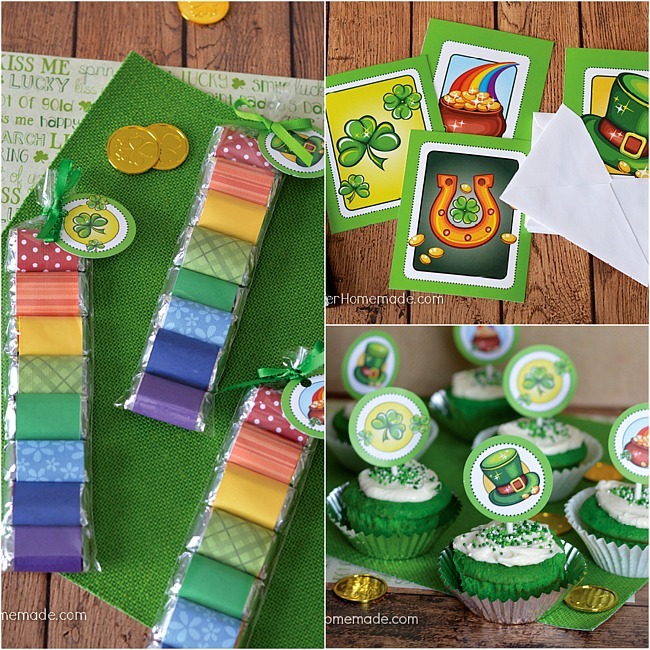 Check out our newest St. Patrick’s Day Printables! 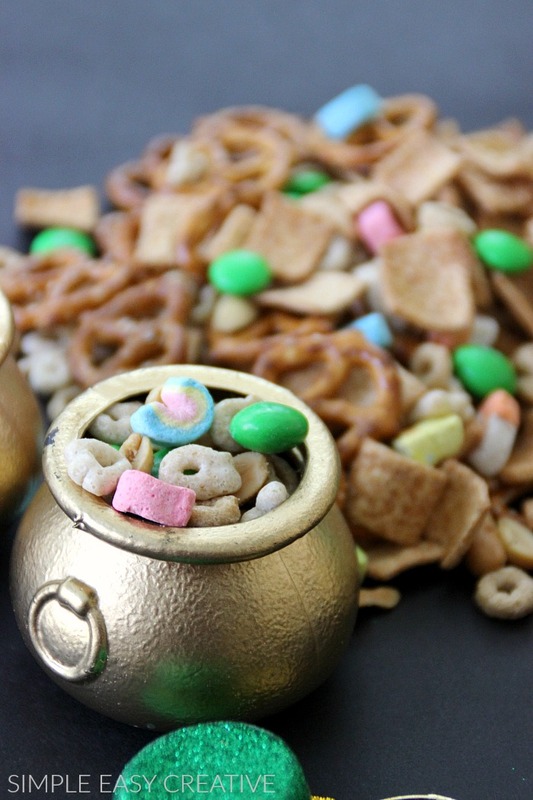 Serve in little Pots of Gold for a fun treat or give as gifts. Such a cute and fun idea, Liz! Love the site update too! These are so fun! My kids will love them!